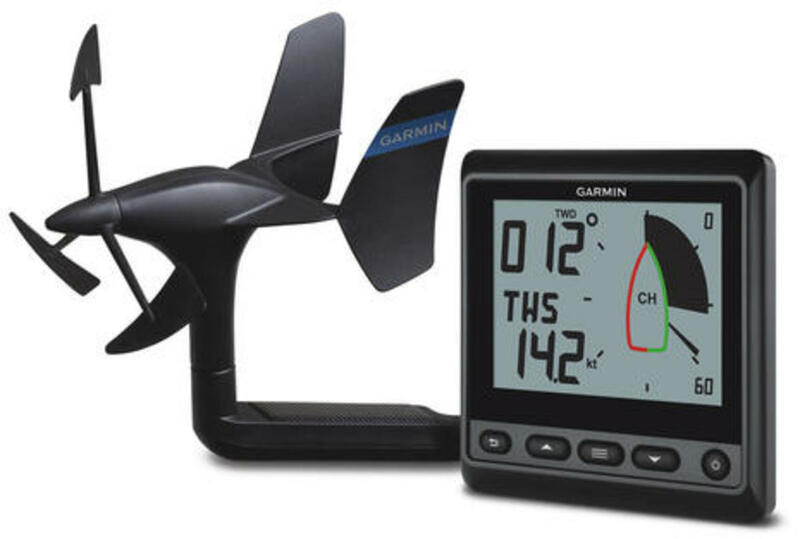 To understand what&apos;s going on here -- and to avoid confusion about Garmin&apos;s various current gWind offerings -- note (above) all the hardware needed for the original gWind Wireless transducer that came out in 2013. 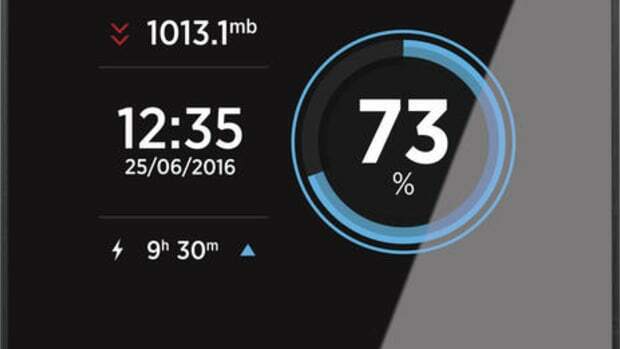 In fact, the unusual sensor is actually a 2006 Nexus design and Garmin acquired Nexus in 2012. 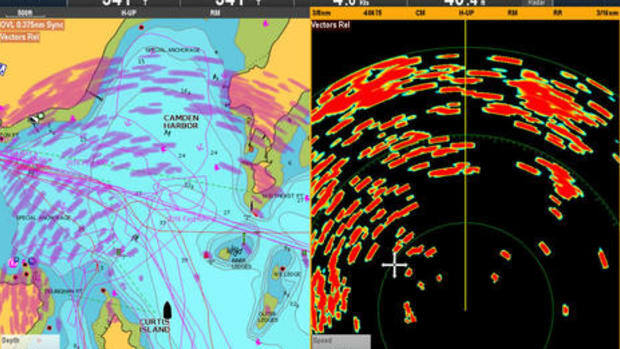 So the WSI connection box at top right bridged the wireless signal to the Nexus network and then the GND 10 box bridged Nexus data to NMEA 2000 for use on Garmin&apos;s growing selection of instrument displays. What&apos;s new? 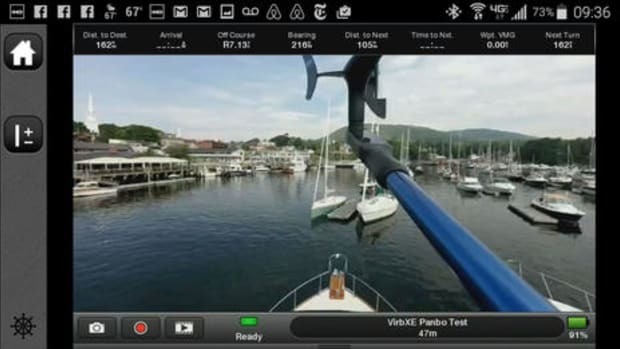 The gWind Wireless 2 uses the same ANT wireless protocol built into the already mentioned displays and thus neither box is needed anymore (unless your boat has a Nexus network or you want the GND 10 support for advanced integration with PC sailing programs discussed in these Panbo comments). While the included ANT wireless wasn&apos;t mentioned whenGarmin announced the GNX Wind in January -- surprise! -- its notably low 0.4W maximum power draw was obviously due to the unusual semi-monochrome LCD screen we first discussed regarding its sibling GNX 20/21 instrument displays. 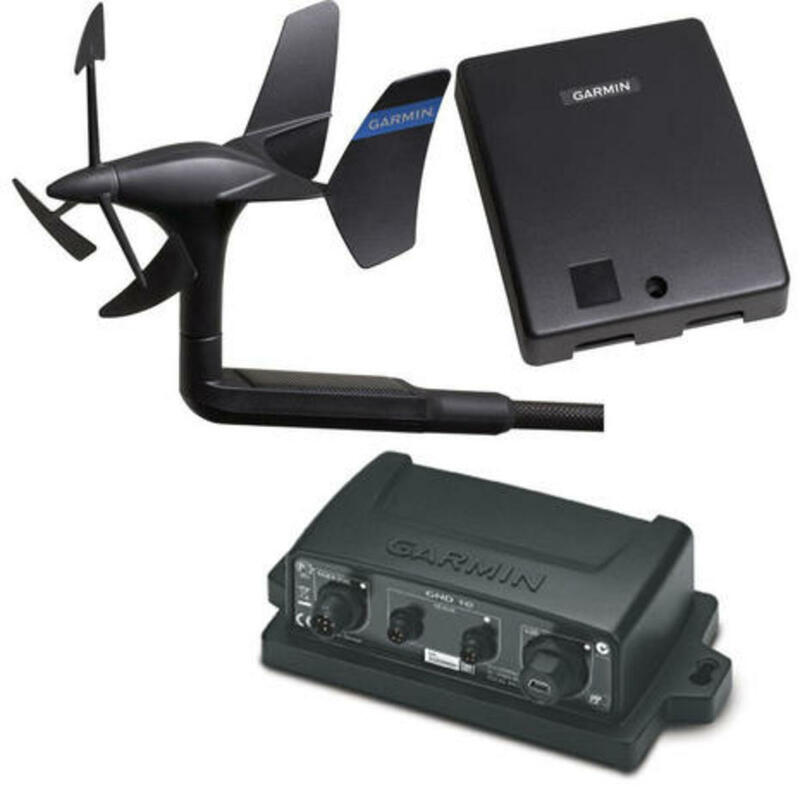 With the gWind Wireless 2, Garmin now offers a black-box-free GNX Wireless Sail Pack that adds a GNX 20 and a depth, water speed and temp Airmar DST800, and thus makes quite a powerful and easy-to-install instrument package for a small sailboat. And it wouldn&apos;t take much of a battery and solar panel to power it. 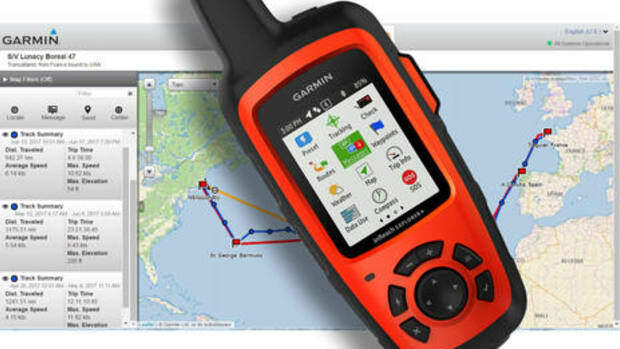 The gWind Wireless 2 would also be an easy addition to a Garmin equipped power boat -- the maximum range is 50 feet, incidentally -- but the sail packs remind me of the nearly all-wireless and solar-powered Tacktick gear which I once covered and tested and which is now available as Raymarine Wireless. 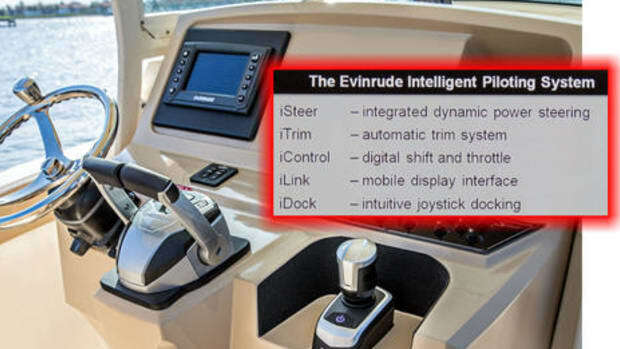 I don&apos;t know if Ray has any plans to update these instrument systems to get the flexibility and integration that NMEA 2000/SeaTalkNG and maybe Bluetooth LE would provide, but Tacktick&apos;s design is still viable and Raymarine has certainly been busy on other fronts. While the new i70s Multifunction Instrument Display is a fairly minor update to the original i70 design -- especially compared to LightHouse R17 -- there&apos;s much to like. For instance, the i70s claims a maximum 1.7W power draw to achieve an LCD brightness of 1,200 cd/m2 (candelas per square meter or Nits), while the i70 uses 1.6W to put out a maximum of 700 Nits. So I&apos;d expect the i70s to be much brighter if needed and also to use significantly less power to produce what looks pretty good as the i70&apos;s max setting. (All the marine LCDs I&apos;ve tested seem to use much less power as soon as they&apos;re turned one click below max with the increments decreasing as you dim further). 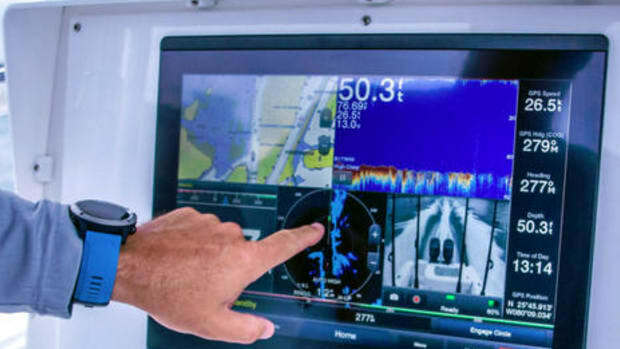 What&apos;s not necessarily common among all the square, black NMEA 2000 instrument displays are the available graphic screens, the understanding of less common N2K data types (PGNs), the calibration of sensors, and the availability of complete manuals. The i70s manual seems very complete (download under Documents tab here) and I noticed lots of goodies behind the screens. 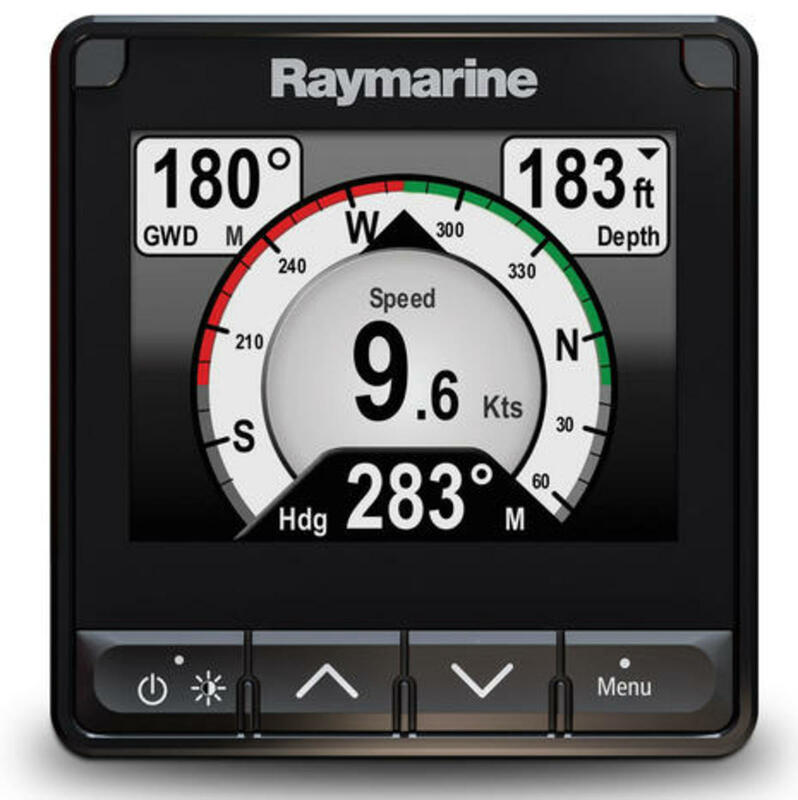 I was amazed, for instance, at how sophisticated Raymarine has become about the calibration of Speed Through the Water (STW) sensors. I&apos;ve collaged snips from the four well-written manual pages above to show how choices range from a simple one-point routine using GPS Speed Over Ground (SOG), automated multi-point speed runs, and even manually editing a calibration table. 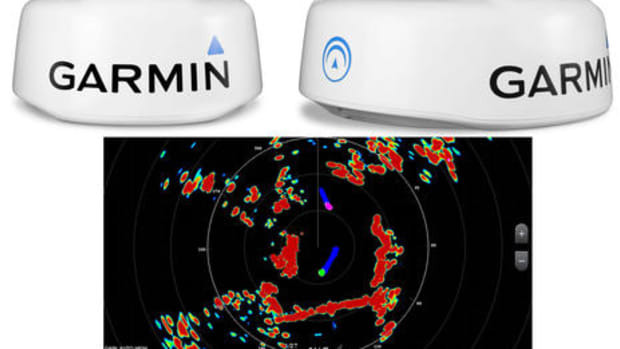 And all this applies to a wide range of analog transducers connected to SeaTalkNG/NMEA 2000 with Ray&apos;s Speed pod or iTC-5, or to native N2K ducers like the same Airmar DST800 that Garmin supports. 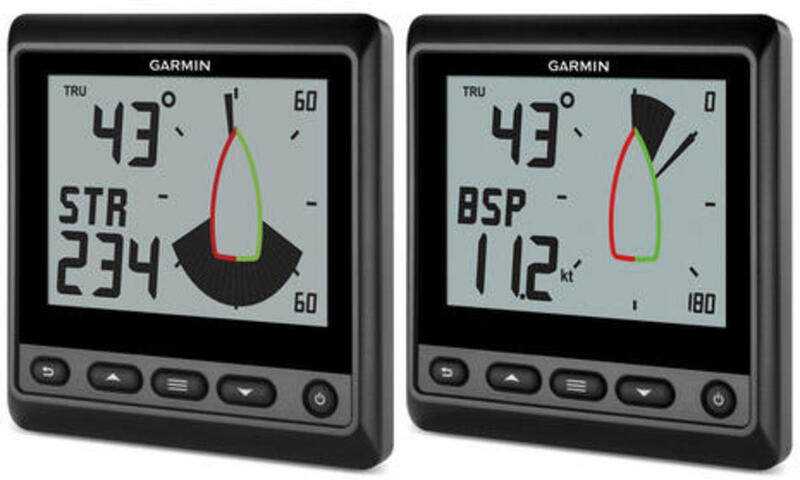 Accurate STW values are critical to quantifying sailing performance and also to calculating tidal currents and true miles-per-gallon fuel burn, not to mention your actual speed through the water. 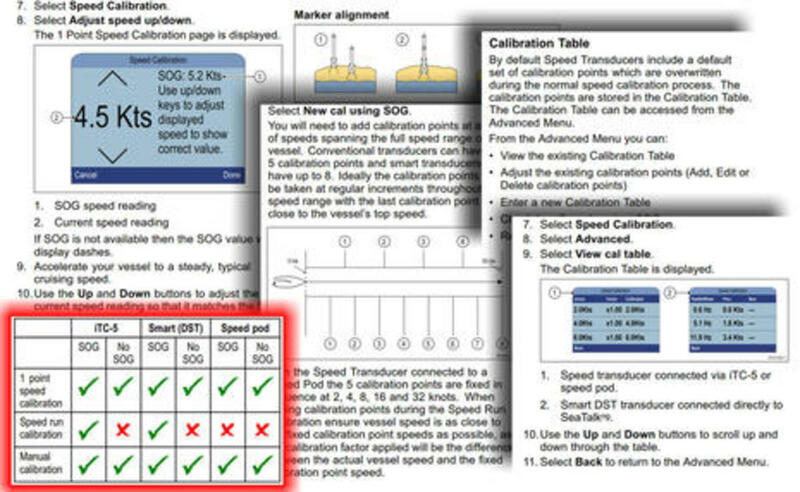 Is any other brand offering boaters such calibration? 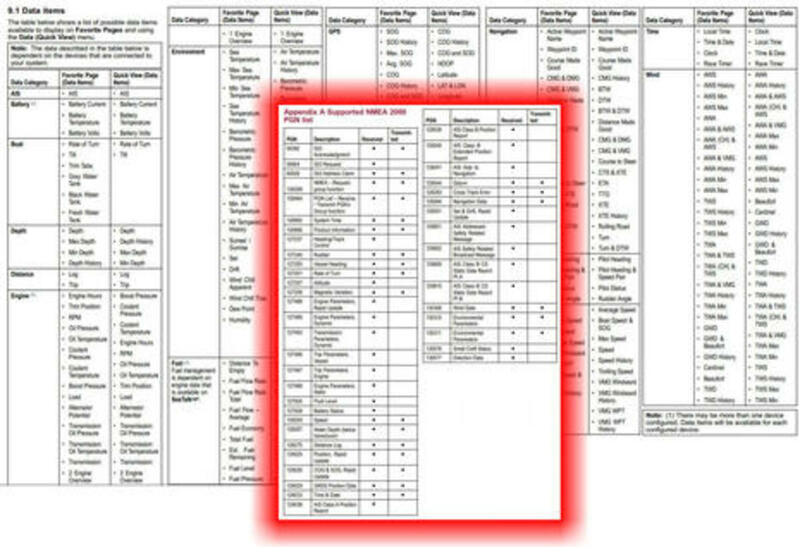 Finally, I also collaged the extensive list of data items available on i70s Favorite Pages or on the Quick View screen that&apos;s specific to every Favorite Page and easily accessed from it, plus the list of NMEA 2000 PGNs that transport all that data around. 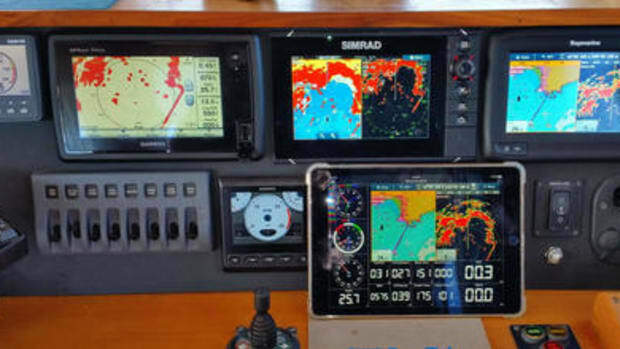 It&apos;s impressive, but it&apos;s also similar to what&apos;s happening on a Garmin GMI 20, a B&G Triton, a Simrad IS35 or 40, a Furuno FI70, and whole lot of MFDs, not to mention the extended world of Maretron DSMs and maybe coming soon to Signal K apps of all sorts. 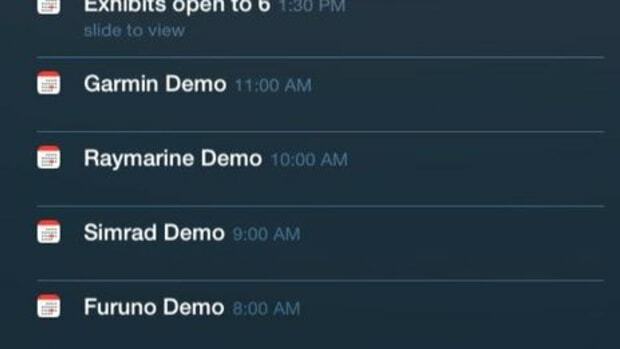 There&apos;s a lot left to do, but I&apos;m thinking that marine data collection and display has come a long way already.